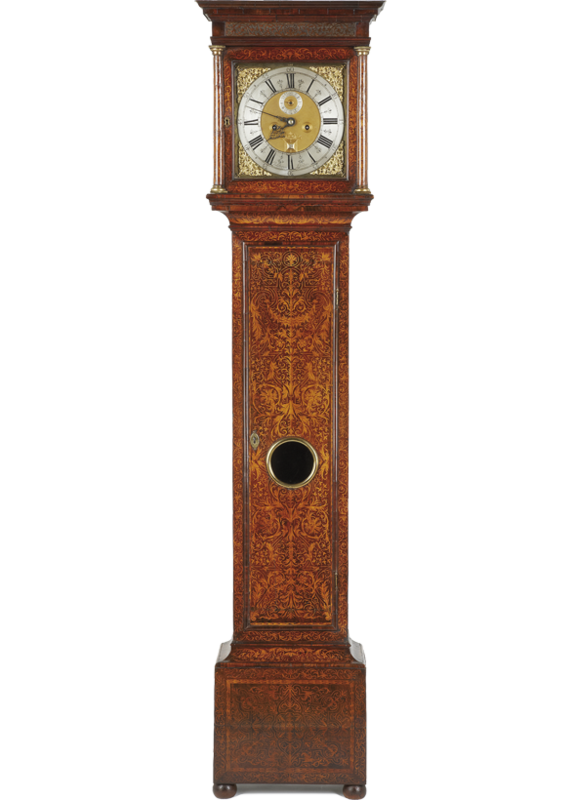 A Queen Anne early 18th century arabesque marquetry longcase clock. The hood, door and base with finely cut marquetry which is repeated to the turned columns. 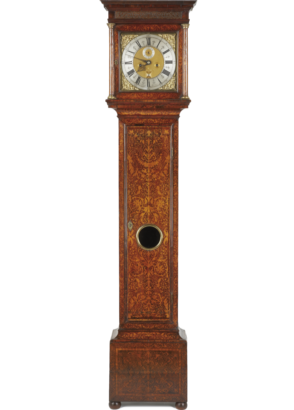 The 12 inch dial signed, Charles Burges. London to the silvered chapter ring and with good hands and gilt spandrels. The 8 day movement with rack striking and anchor escapement.